Home inspections have been a hot topic lately, so we thought we might answer some of your biggest questions. We know that when you are buying or selling your home, there is so much to think about. Our team concept really customizes our service so that we can help you make the change stress free. So here is a great starting point if you are heading into a home inspection. 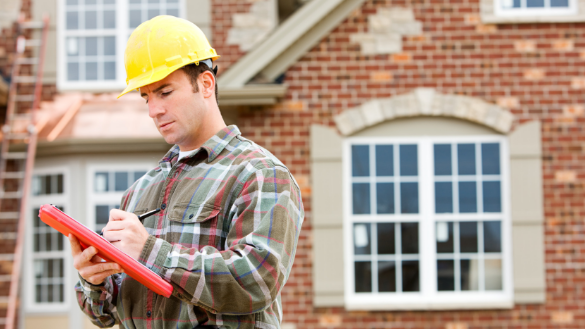 On top of the long list of items to do when buying or selling a house is the home inspection. But what is involved? How much does it cost? Why is it done in the first place? It’s important to understand what a home inspection entails and how it affects the sale of your home or the purchase of a new one. The more you know, the less likely you are to get ripped off or taken by surprise. To hire an inspector, get recommendations from Team Bravo (we have strong relationships with our market partners), or from friends and family. If you don’t know anyone who has hired a home inspector, you can find home inspectors on the internet under “Home Inspection Services.” When interviewing inspectors, be sure to ask for references and any memberships in professional associations. Find out about the inspector’s professional training, length of time in the business, and experience. Also, never allow an inspector to contract you to make repairs he/she has suggested — this is a major conflict of interest, not to mention unethical. However, some inspectors do offer a guarantee or warranty on their service for an additional fee, although it is not a standard practice and not required. Please always be sure to reach out to us if you need assistance, we are always happy to help. And feel free to join us in our private Facebook group The Team Bravo Home Resource Center. We have developed this space to help homeowners just like you create the home of your dreams. We share the latest in home decor, buying and selling strategies for your home, our preferred vendor list for your home's updates and repairs and so much more! You're going to love it.